Cure for Ciprofloxacin Side Effects? I have terrible itching, insomnia, ringing in both ears, joint pain and possible peripheral neuropathy since taking Cipro. Any idea on how long before these Ciprofloxacin Side Effects disappear? Any non Rx cures you recommend? Comments for Cure for Ciprofloxacin Side Effects? I'm very sorry to hear about your issues. I've been dealing with people for years with these problems and researched this problem for hundreds of hours, have worked with hundreds of people and have written a book on it in which I offer people as much help as I can give them, including a forum in order to ask as many questions as they have about the protocol and anything else that will help them to get better. 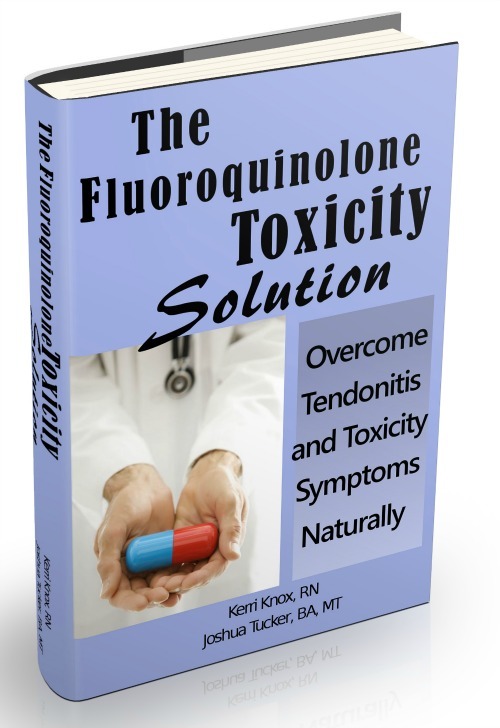 So, I'm sorry that you don't want a 'sales pitch' but the book that I spent years creating and refining to be as much help as possible for people suffering from these symptoms is The Levaquin Tendonitis Solution. If you have a better solution to help solve your problems, I'd be happy to hear it. As it stands, it sounds like you need the help of someone who has dealt with this problem and has helped hundreds of people with these Ciprofloxacin Side Effects. Sometimes you just have to pay for the solution to a complex problem. I daresay that you probably paid the doctor who got you INTO this mess and you've likely paid other doctors to tell you that they can't help you or to even tell you that your issues have nothing to do with the antibiotics that you took, but you don't want to pay the person who might be able to HELP? That doesn't make much sense to me. I wish you the best of luck in your search and the best of luck in your healing.